Close to the fortress headquarters of the Minutemen, Spectacle Island is an abandoned stretch of land that's pretty unique as far as locations go. Instead of getting a quest to claim the area like most bonus settlement jobs, this place has special requirement. That's right, this is a hidden settlement. Looking for help getting your wasteland adventure off the ground? Want extra info centered around the tricky settler side of crafting? 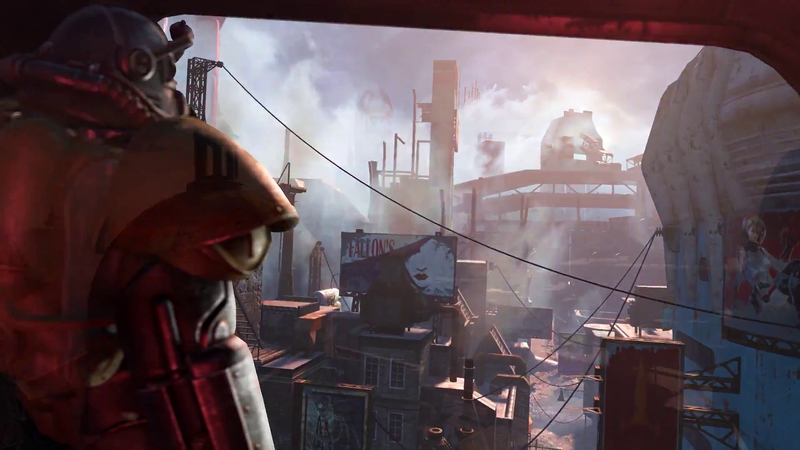 Check out the Fallout 4 Survival Guide where you'll find plenty of tips and tricks for beginners or advanced players. Spectacle Island is a special settlement that is only unlocked after completing a unique quest in the area. The Island is located northeast from The Castle and is visible on your map. Swim to the seemingly deserted island to get started. There is a workshop in the center of this area, along with an experimental radio tower with a circuit breaker switch that is currently inactive. Spectacle Island is special in a number of ways; it features the largest build area, but it is dangerous to send caravans in or out -- the assigned NPCs are very likely to die of radiation poisoning. Use robots, ghouls, or equip Radiation Suits to prevent this. Although surrounded by water, a recruitment beacon will summon new NPC Settlers to the area. They will arrive safely and will die be effected by radiation like caravan personnel. Note: Spectacle Island has the largest build area of all the settlements available in the Commonwealth. To clear the island of Mirelurks and keep the place safe, travel to the southern shore of the island and reactivate the generator inside a sunken ship. Follow the power pylons from the inactive radio tower to find the generator. Flip the switch inside and prepare for a fight. Turning on the power in the ship will summon a Mirelurk Queen, along with several other mirelurks. There is a chance a Mirelurk King can appear. Quickly return to the workshop and flip the switch at the base of the radio tower. After a moment, a signal will activate that forces all mirelurks to retreat. This will also work on the Queen. Congratulations! The workshop is now unlocked and you can start building whatever you want. The area already features several run-down shacks and structures. Don't miss the Luck Bobblehead in the boat with the generator.